The main brands we process are Disney, Barbie, Thomas and other world famous brands. Q: Can you produce according to our sample plate or production order9 A: Yes. Q: What language do you use9 A: Chinese / English / Janpanese. We have been Wal-Mart and other chainstores supplier for many years. such as Shoulder protector, Elbow pad, Wrist band, Knee pad, Arm sleeve, Calf sleeve, Ankle wrap and etc. We also produce Camping chair, Camping tent, and some promotion items, say, Can cooler, Bottle coozies, Lunch tote, Laptop cover, Wine tote, Phone and PAD cover. 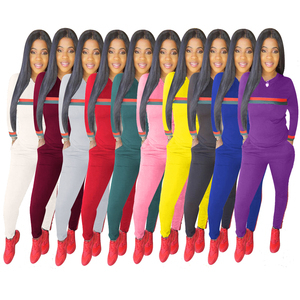 Alibaba.com offers 513,094 plus size sportswear products. About 23% of these are fitness & yoga wear, 1% are training & jogging wear. A wide variety of plus size sportswear options are available to you, such as anti-bacterial, breathable, and anti-static. You can also choose from oem service, in-stock items. As well as from women, men, and unisex. And whether plus size sportswear is pants, sets, or shirts & tops. There are 513,176 plus size sportswear suppliers, mainly located in Asia. The top supplying countries are China (Mainland), Pakistan, and India, which supply 94%, 4%, and 1% of plus size sportswear respectively. Plus size sportswear products are most popular in North America, Western Europe, and Eastern Europe. You can ensure product safety by selecting from certified suppliers, including 68,075 with Other, 37,020 with ISO9001, and 10,382 with BSCI certification.